Executive owners Dapo Amosun and Ferguson Adesoye founded Amicable Healthcare in April of 1997. They both come from cultures that greatly respect the elderly, and they have always regarded taking care of elders as a privilege. Dapo and Ferguson witnessed their loved ones working at a nursing facility, where institution-style living was normalized. This sort of living was averse to their beliefs, and it motivated them to provide a better solution for the elderly and open Amicable Healthcare. Their high regard for the elderly has continued to inspire their unparalleled level of service and care. Dapo and Ferguson believe that old age does not have to be a burden, but they are also aware of the complex social implications that elderly deal with. Dapo and Ferguson’s primary goal is to ensure that their clients live in the comfort of their home while receiving the best care possible. Since opening its doors in 1997, Dapo and Ferguson have seen the level and depth of homecare grow at a rapid rate. What started out as an idea has become a reality for them. With over 40 years of combined experience, Dapo and Ferguson are committed to delivering excellence in patient care and loving support to family members. Their staff aids in all aspects of homecare, whether at home or in an assisted living setting. True to its name, Amicable Healthcare has established a 20-year legacy of delivering “care from the heart” through quality, trustworthy staff. We have earned the respect, confidence, and long-lasting relationships of our clients and associates. Amicable has assisted thousands of families in Western Washington (primarily King & Pierce Counties) with their home care needs over the past two decades. Amicable now serves an average of 600 clients each year, and employs roughly 700 quality care providers in its program. 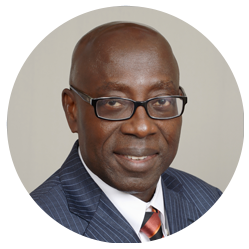 Dapo Amosun brings extensive business experience, including over 20 years’ experience in the healthcare industry. His responsibilities include overseeing company operations, managing legal matters, as well as marketing and strategic planning. Dapo is a visionary, and his strong leadership, entrepreneurialism, and business acumen have positively impacted Amicable Healthcare, resulting in two decades of growth and success for the company. 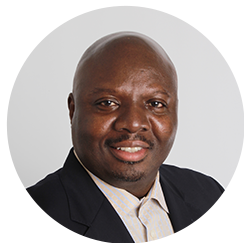 Dapo brings a continuous desire to achieve on a personal and business level, and he does not let potential organizational constraints impede success. Dapo received his Bachelor of Science degree in 1988 from Eastern Washington University. He also completed Executive Education in 2010 at the University of Washington. Dapo has also been honored with a Certificate Of Achievement from the Department of The Army. And, in 2003, he was named Honorary State Chairman by the Business Advisory Council for his business and professional success. Ferguson Adesoye offers over 20 years’ experience in the healthcare industry. As one of the Executive Owners of Amicable Healthcare, Ferguson oversees internal operations to ensure proper monitoring and accountability. He also manages overall financial systems, budgeting, and planning. Ferguson also ensures proper compliance with both Federal and State regulations. An expert in Economics and Accounting, Ferguson has also served as a lecturer at City University in Seattle, where he has taught Accounting and Economics at the graduate level as well as Economics of Social Issues at the undergraduate level. Ferguson received his BA in Business Administration from the University of Texas, Austin, in 1984. He then received his MBA from State University in Laredo, Texas, in 1985. He later went on to earn his title as CPA from Washington State in 1994. Finally, he completed Executive Education at the University of Washington in 2010. Amicable Healthcare provides the highest quality in-home care and medical staffing services that you can trust, delivering care from the heart for every patient. We stand by our name in all that we do. As our name suggests, our staff is amicable, consistently delivering sincere “care from the heart.” Our team members truly care for the well-being of each of our clients and go above and beyond to ensure their needs are met. We are honored and privileged to serve our clients and deliver satisfaction. We do more than simply provide in-home-care services-we deliver companionship for our clients, which sets us apart from other agencies who simply show up to get work done. Our staff has the entire well-being of our clients in mind. Our goal is to continuously serve in the most positive, thorough, efficient manner possible. Everything we do revolves around delivering the best experience possible. Our creative, flexible services are tailored to meet our clients’ unique needs and schedules. We are available 24 hours a day, 7 days a week, and 365 days a year to ensure we’re available when you need us. We also specialize in helping a diverse clientele-every year, we assist hundreds of multi-lingual clients from a variety of cultures and backgrounds. Amicable’s staff is the finest in the industry, Our reliable team members are licensed, certified, bonded, insured, and thoroughly screened in order to join our team to ensure that when you are working with Amicable, you are working with the best. Education is also important to us, which is why we educate our employees not only when they join the team, but also on an ongoing basis to keep our team informed and up-to-date. We provide reliable, attentive staff at competitive rates, and we guarantee quality service whenever you are dealing with Amicable Healthcare. Founded in April 1997, Amicable offers a rich history and a 20-year legacy built on the trust we earned from exceeding expectations of our clients. We have built a reputation for providing unparalleled service and only the highest ethical standards for our clients. Our clients’ wishes and earned trust are of utmost importance to us. Therefore, we treat our clients as they wish to be treated. The proof is in our extensive credentials and two decades’ worth of positive client relationships. Amicable is licensed by the Washington State Department of Health to provide both facility and in-home placement services. We are also contracted with the City of Seattle Human Services.